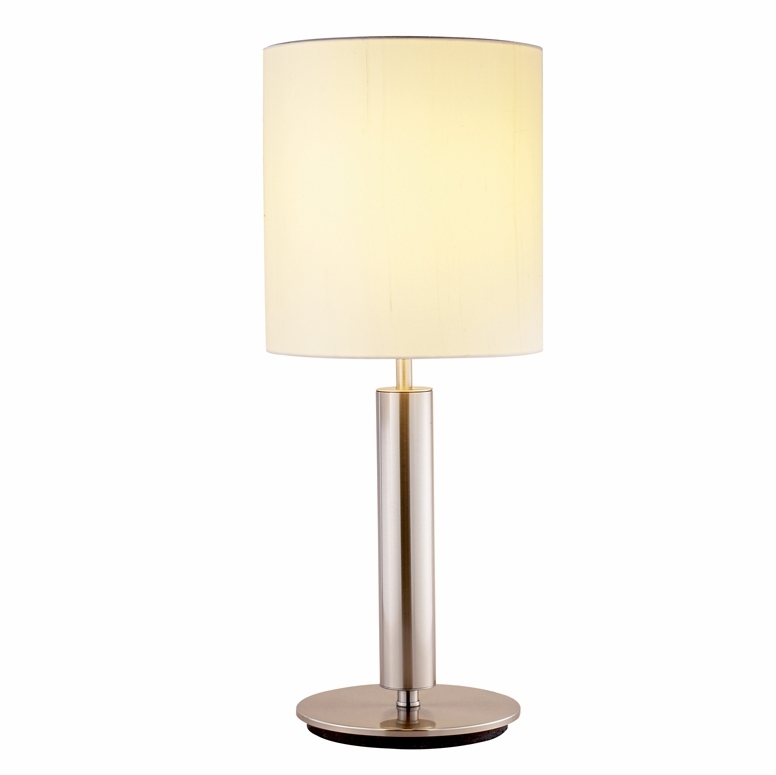 Each Hollywood lamp has a chunky satin steel pole with a flat round base and a tall ivory silk shade. Both styles have three-way touch sensor.100 Watt. 27" Height, 2" Diameter pole. 8" Base. Shade: 12" Height, 9.75" Diameter.